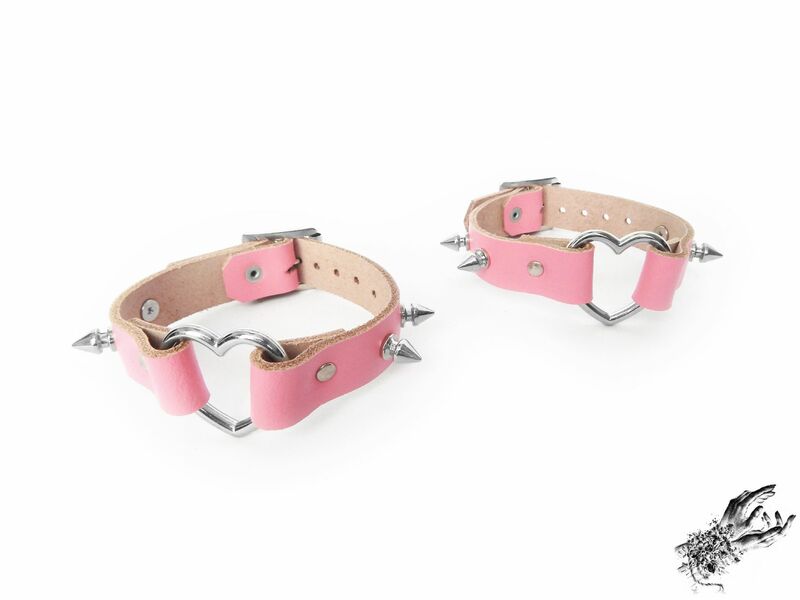 A pair of pink leather ankle cuffs featuring silver heart rings and spike studs. They are made with genuine leather sourced in the UK and made with a stainless steel plated buckle, studs and hardware. These black studded heart ankle cuffs are adjustable in size and can be made to custom measurements if need be. Please forward your ankle measurement via email or during checkout if you need the ankle cuffs resizing. You get a pair (2) of ankle cuffs.